« Saks’ Exclusive Polished Face Kit 50% Off!!! Say hello to what is quite easily one of my favorite lipstick formulas ever: Cle de Peau’s Touche de Rouge Extra Silky Lipsticks. These slim sticks of glossy color contain a superbly soft and gentle formula that seems to literally melt over your lips, leaving your lips not only looking soft and lusciuos but also supremely hydrated. 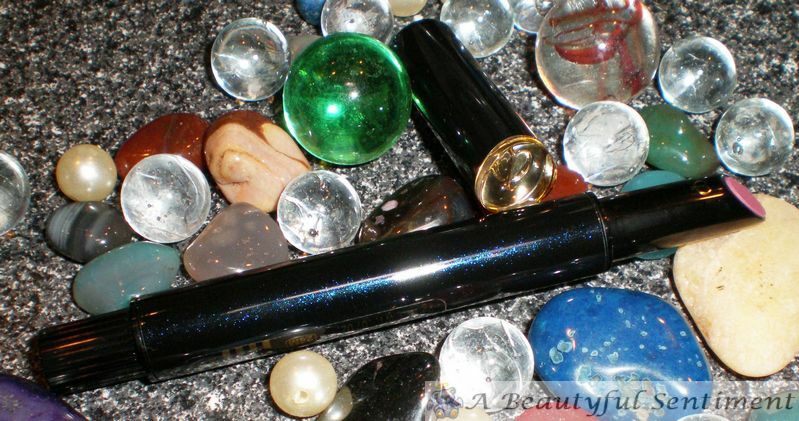 Formula: Touche de Rouge contains Cle de Peau’s advanced moisturizing ingredient, Hydro-Wrap Complex, along with Argan Tree Oil (I mentioned my Argan Oil lust here–who knew it was in my lipstick all along?) to keep your lips smoothed and soothed all day long. Like I mentioned, this is a soft lipstick but thanks to the packaging you don’t have to worry about breakage since you only click up the precise amount that you need to use. For such a glossy formula the Touche de Rouges are surprisingly long-lasting; I can wear mine for hours at a time and it continues to cling tenaciously to my lips. Packaging: The packaging for this sleek little tube of magic has both its pros and cons. While I love the look of the subtely luxuriuos packaging consisting of a shimmery deep blue exterior and a beautiful gold topper, I’m not qute as fond of the “clicks up but not down” feature. The fact that it’s non-retractable means you need to be sure to not twist up too much (say to play with your lipstick when you first get it) as you’ll never get it go back down. One other element of the packaging I’m not crazy about is the fact that the cap doesn’t click into place. I haven’t had any problems with it coming loose in my purse just yet, but I get the feeling one of these days it will. But this slim tube does have one ingenious little feature: there’s a small window near the tip of the lisptick that indicates how much glossy goodness you have left in the container. When the bottom of the product gets higher than the window, you have approximately two weeks’ supply left (when used three times a day according to the packaging) meaning time to restock soon! Pigmentation: Shade 108 is a cool slightly rosy pink shade that really is the perfect soft pink lippie on me. Looking at the product in the tube I was worried that this wouldn’t show up at all on me (my issue with many pink lipsticks), but it actually has gorgeous pigmentation. 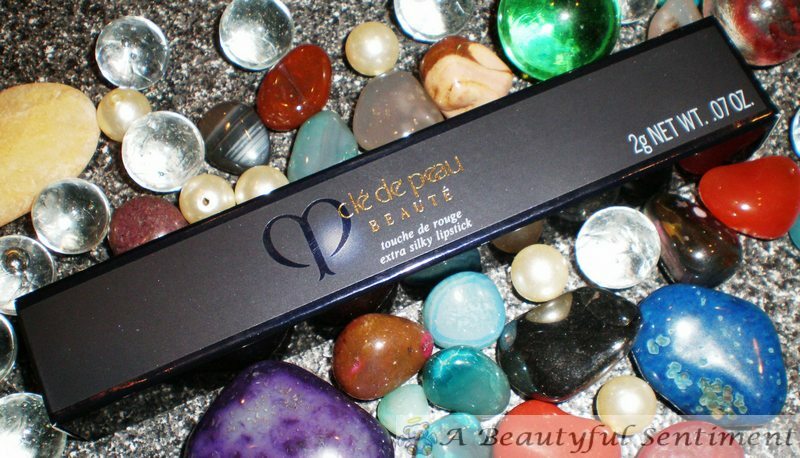 Interested in other great Cle de Peau products? Read my review of their Cleansing Cream (Creme Demaquillante) here. 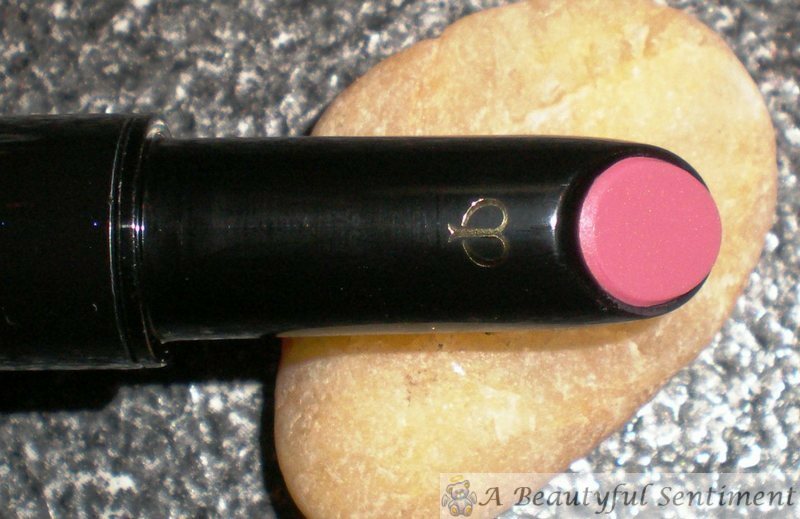 This entry was posted on	November 21, 2008 at 4:15 pm	and is filed under ABS Loves, Cle de Peau, lipstick, LOTD, reviews, swatches.